In this post, we’ll keep you updated on the legal situation for drone pilots in Barbados. 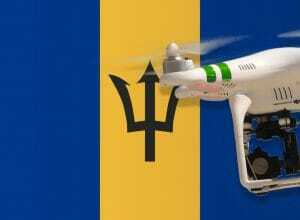 Barbados has issued an import ban on drones for the period from 01 April 2016 to 31 March 2018. Within this period, new laws should be enacted. Unfortunately, the ban has been extended by twelve months, so you can not take your drone to Barbados at the moment. We have researched the listed drone regulations for Barbados to the best of our knowledge. We can not guarantee the correctness of the information. If you want to be on the safe side, please contact the competent aviation authority. Alternatively, you can also ask the embassy in your country for further information about the regulations. Please leave us a comment when you receive news and/or gain experience with your copter in Barbados! Update: Unfortunately, the import prohibition for drones in Barbados is still in force.